I’ve always had a fascination with lists and Top 10’s. So, I’ve combined them both and created a few popular Top 10 lists on Sardinia, blogging, Italy, soccer and the beach. – would we be better hiring a car and staying elsewhere? 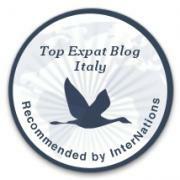 – can you recommend a decent self catering or a reasonable hotel in Alghero? Alghero is a family friendly town and I’m sure you’ll find enough to keep you occupied. I do suggest renting a car, that way you can get around and see more of the island. I haven’t any recommendations for a hotel, my apologies. Wishing you a joyous holiday! We very much enjoy your blog. Having recently bought a house in Erula we are keen to discover the best markets for furniture, antiques, clothing etc. Do you have a list of the top 10 markets to visit and which days they are open? We have visited the Saturday market at Tempio which was good for household items but not furniture.